The Caped Crusader! 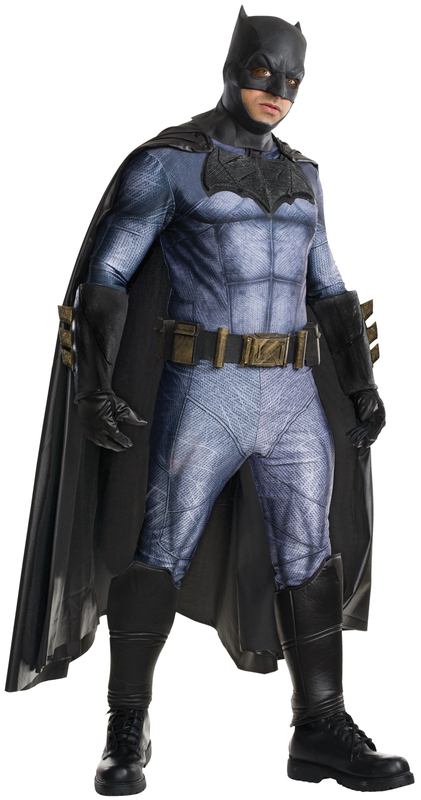 Modeled after the costume worn in the new blockbuster film Dawn of Justice: Superman v. Batman this is the costume you need! Padded jumpsuit with molded logo, molded gauntlets and 3D boot tops, belt, cape and mask Fits adult males standard sizes 42-44.